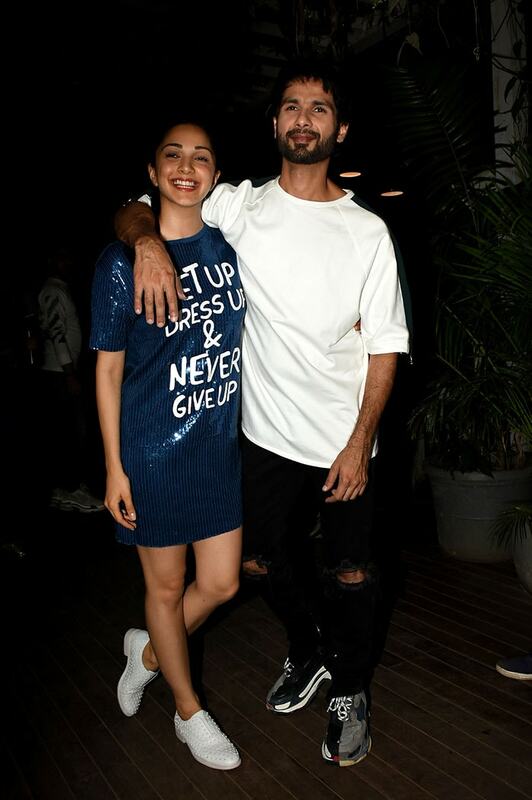 Shahid Kapoor and Kiara Advani celebrated a wrap on Kabir Singh with a blockbuster party at a suburban Mumbai restaurant on Thursday. Kabir Singh, which is the Hindi remake of Tamil blockbuster Arjun Reddy, releases on June 21. Kiara Advani's sequined shift dress is a wardrobe must-have. Shahid struck quirky poses for the cameras. Shahid and Kiara also posed with the film's team and director Sandeep Vanga at the party. Kiara Advani and Shahid Kapoor shared a light moment. Shahid Kapoor and Kiara Advani were in a goofy kinda mood!